March 2nd was Read Across America Day NEA is celebrated in the home town of Dr. Seuss himself: San Diego! 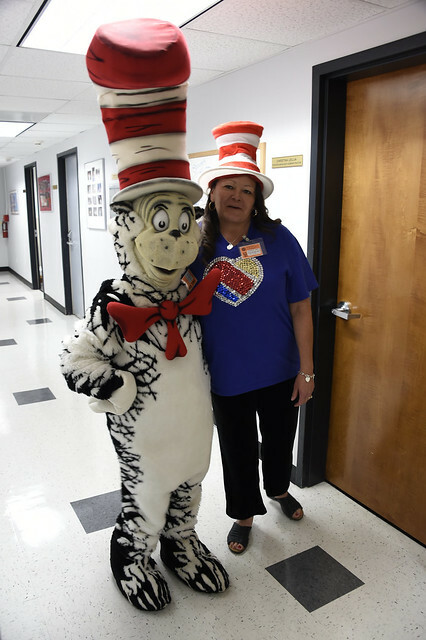 At the San Diego Humane Society, NEA Vice-President Becky Pringle joined Cat in the Hat, Thing 1, and Thing 2 along withHumane Society volunteers to read a book on pet responsibility. Afterward, groups of students got a special visit from a pet.